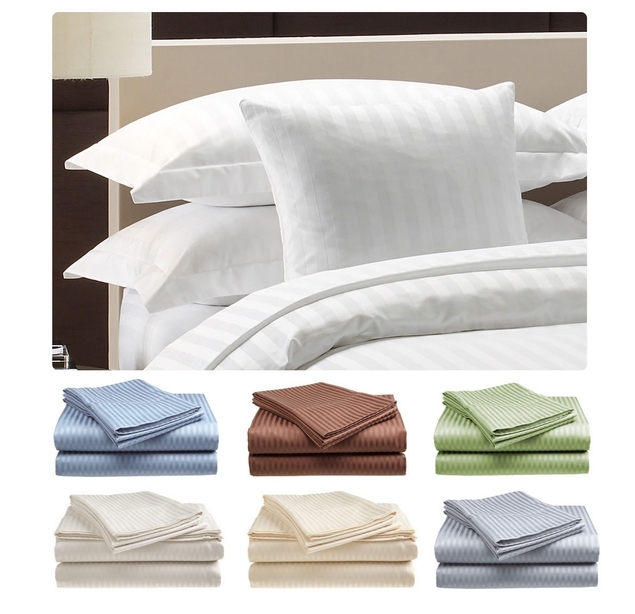 400 Thread Count 100% Cotton Sateen Dobby Sheets for just $19.99 + FREE shipping !!!! reg price $90 !!! Score a set of these , 400 Thread Count 100% Cotton Sateen Dobby Sheets for just $19.99 + FREE shipping !!!! reg price $90 !!! 400 thread count sheet sets are luxurious 100% Cotton Sateen. Each set contains a flat sheet, fitted sheet that will fit a mattress up to 15″ and two pillowcases. Available in Full size, Queen size, and King size. Colors available: Beige, Coffee, Light Blue, Sage, Silver, White. Sells in stores for $89.95 softest sheet set you will ever sleep on! Machine washable, deep pockets fits up to 15 inch mattress, no ironing needed! Heavy Weight 100% Cotton Sateen Sheet Set. 24-Compartment Clear Lipstick Holder for just $4.99 + FREE shipping !!!! reg price $18 !!! 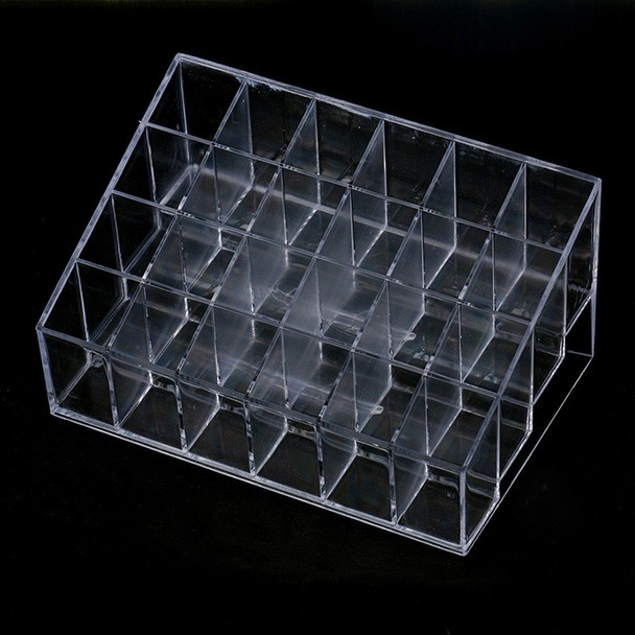 Hurry to score this , 24-Compartment Clear Lipstick Holder for just $4.99 + FREE shipping !!!! reg price $18 !!! 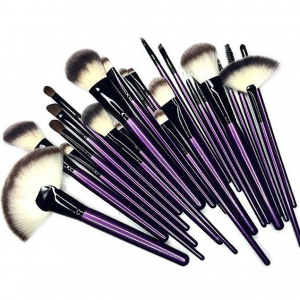 Purple Tulip 24 Piece Makeup Brush Set for just $11.99 + FREE shipping !!!! reg price $30 !!! 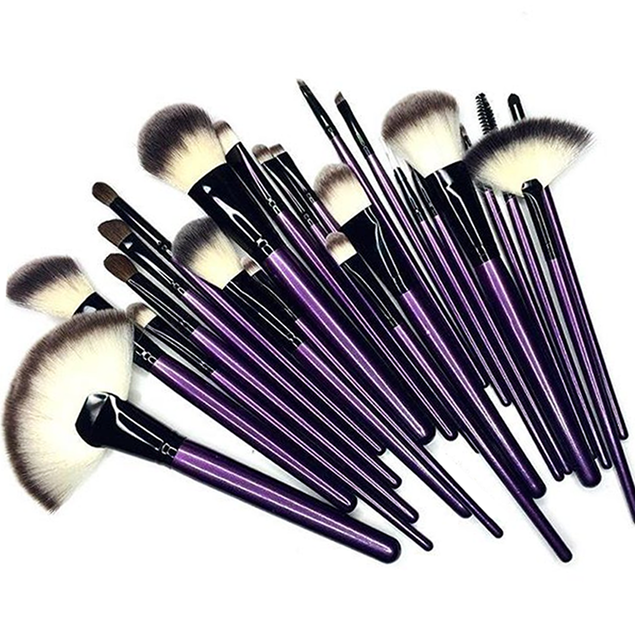 Head on over to score these , Purple Tulip 24 Piece Makeup Brush Set for just $11.99 + FREE shipping !!!! reg price $30 !!! This essential brush set gives you all the tools you need to apply makeup like a pro. My Makeup Brush Set professional brushes are hand-sculpted and assembled using the finest quality materials! They have been designed and tested by our professional team to ergonomically fit perfectly in your hands and ensure flawless application every time! Apple Original Charger + Lightning Cable Bundle for $13.99 + FREE shipping !!! REG price $40!!! Hurry on over to grab a , Apple Original Charger + Lightning Cable Bundle for $13.99 + FREE shipping !!! REG price $40!!! The Apple Home/Travel Charger and Lightning Cable offers a new super-compact design, making it ideal for users on the go. It brings speedy and proficient charging wherever there is a power outlet so your devices are always ready for use. 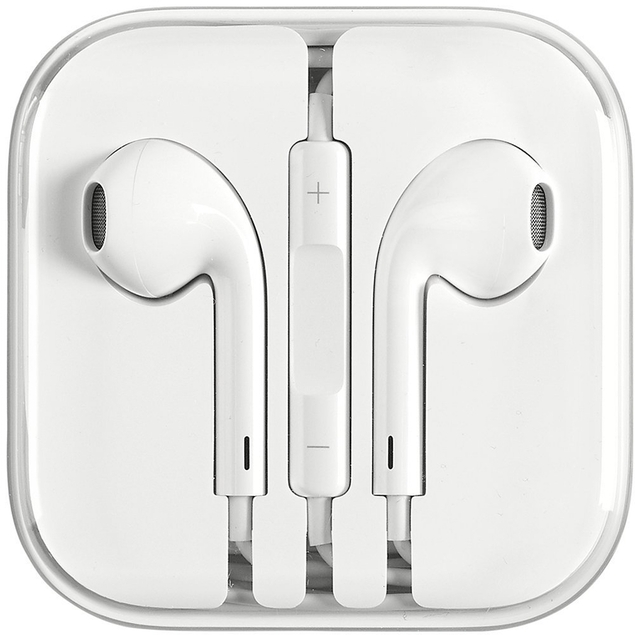 Checkout these , Apple Original Earpods Earphones With Remote and Mic For iPhone 2 pack for $17.99 + FREE Shipping !!! reg price $30!! !!! 2-Pack Foldable Closet/Drawer Storage Organizers – Set of 8 are just $17.99 + FREE shipping !!! reg price $40!!! 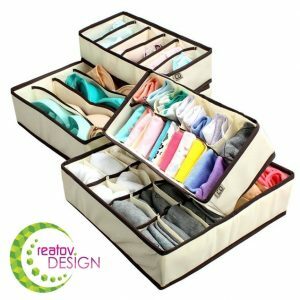 These , 2-Pack Foldable Closet/Drawer Storage Organizers – Set of 8 are just $17.99 + FREE shipping !!! reg price $40!!! The color is beige, which is totally a fit to all colors. Just put these cute boxes into your wardrobes or drawers. Turn your drawer from a cluttered, balled up mess to an organized and accessible space. COME ON AND ENJOY A CLEAN LIFE. The edge layer is REMOVABLE; you could install and remove the edge pieces easily. It is foldable to be kept when not used. Method: There are 2 openings on the edge of each box. Please install the PP layers into these openings. 2-Pack LAX Micro USB Strong Braided 10ft Cable for just $10.99 + FREE shipping !!!! Head on over to score a , 2-Pack LAX Micro USB Strong Braided 10ft Cable for just $10.99 + FREE shipping !!!! 4 colors available !!! Compatible with Samsung Galaxy S6 Edge+ / S6 Edge / S6 / S5 / S4 / S3 / Note 5 / Note 4 / Note 3 / Samsung Galaxy Tablets with micro USB power connectors, BlackBerry Priv / Passport / Q10 / Bold / Curve, Motorola Droid RAZR / Maxx / Pro / HD / Ultra, HTC One M9 / M8 / M7, LG G4 / G3 / G2 / V10, Nexus 6 / 5 / 4, Nokia Lumia and more! 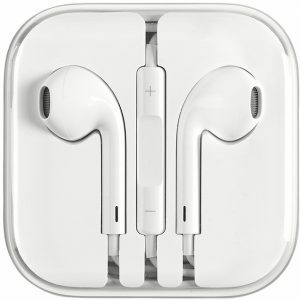 Apple Original Earpods Earphones With Remote and Mic For iPhone for $9.49 + FREE shipping !!! reg price $30!! Here is a deal for these , Apple Original Earpods Earphones With Remote and Mic For iPhone for $9.49 + FREE shipping !!! reg price $30!! 3-Pack MFI Apple Certified 10-Foot Braided Lightning Cables for iPhone/iPad , for just $12.99 + FREE shipping !!! reg price $100!!! Scoop up a set of these , 3-Pack MFI Apple Certified 10-Foot Braided Lightning Cables for iPhone/iPad , for just $12.99 + FREE shipping !!! reg price $100!!! 2-Pack Apple Original Earpods Earphones + Apple Original Lightning Cable for $23.99 + FREE shipping !!! Head on over to get these , 2-Pack Apple Original Earpods Earphones + Apple Original Lightning Cable for $23.99 + FREE shipping !!! 4-Piece Super Soft 1800 Series Bamboo Fiber Bed Sheets for just $19.99 + FREE shipping !!! reg price $100!! Great deal you wont want to pass up on !! 4-Piece Super Soft 1800 Series Bamboo Fiber Bed Sheets for just $19.99 + FREE shipping !!! reg price $100!! With comfort and style, this 4-Piece Bamboo Fiber Bed Sheet Set is a great fit for any bedroom. Bamboo sheets keep you warm in winter and cool in summer, due to bamboo fibers’ inherent thermal-regulating properties. They are softer than 1,000-threat-count Egyptian cotton, yet one-third the cost, and are odor-resistant and good for the environment. Dawgs Womens’ 13-inch Microfiber Boots for $26.99 + FREE shipping !!! reg price $90!! Snag this sweet deal on , Dawgs Womens’ 13-inch Microfiber Boots for $26.99 + FREE shipping !!! reg price $90!! multiple colors available !! The DAWGS Women’s 13-inch Microfiber boot will keep your feet and legs warm. This boot is built for comfort, padded with a memory foam insole and faux shearling lining. Featuring a durable a slip resistant rubber sole. 20-Piece Set: Single Compartment Lunch Containers for just $13.99 !!! reg price $40!!! Great deal you can grab for this, 20-Piece Set: Single Compartment Lunch Containers for just $13.99 !!! reg price $40!!! Big Boss 16 Quart 1300 Watt Oil-Less Air Fryer for $69.99 + FREE shipping !!! reg price $100!! Head on overt to snag a , Big Boss 16 Quart 1300 Watt Oil-Less Air Fryer for $69.99 + FREE shipping !!! reg price $100!! multiple colors to choose from !! The Big Boss 1300-Watt Oil-Less Fryer allows you to make heart-healthy meals without the added calories that come with using a traditional deep fryer. The fryer’s efficient design heats food quickly while retaining flavor and moisture. Suitable for cooking a range of meat, poultry, vegetables, and desserts, this versatile tabletop cooker comes in handy for any meal. Its two-tray design lets it cook multiple foods simultaneously, adding a dose of convenience to meal preparation. Pawsse Pet Carrier Hiking Backpack for Pets is $34.99 _ FREE shipping !!! Calling all Pet Owners !!! This Pawsse Pet Carrier Hiking Backpack for Pets is $34.99 _ FREE shipping !!! The pet backpack is detailed with dual zipper closure opening for easy pet entry. You can carry this adorable backpack over your shoulders by its firm straps. Dogs and cats can rest inside comfortably on the interior plush fleece bed, the fleece bed can be removable for easy cleaning. Carry your pet with confidence in this soft-sided pet backpack. 24-Pairs Mystery Fila Moisture Wicking Mens Athletic Socks for just $15.99 + FREE shipping !!! reg price $100!! Scoop up this deal on , 24-Pairs Mystery Fila Moisture Wicking Mens Athletic Socks for just $15.99 + FREE shipping !!! reg price $100!! Canon PIXMA MG3620 Wireless All-In-One Printer for $19.99 + FREE shipping !!! reg price $80!! The PIXMA MG3620 is a Wireless Color Inkjet All-In-One printer that offers convenience and simplicity for all your printing needs. Print and scan from almost anywhere around the house with its wireless capability. The PIXMA MG3620 is amazingly convenient with many ways to print wirelessly. With the Canon PRINT app easily print and scan photos and documents directly from your mobile devices. Enjoy printing from your iPad®, iPhone® or iPod® touch with AirPrint, and from Android devices with Mopria and Google Cloud Print. Super Plush Goose Down Alternative Comforter for just $25.99 + FREE shipping !!! $120!! Checkout this deal for a , Super Plush Goose Down Alternative Comforter for just $25.99 + FREE shipping !!! $120!! Multiple colors available !! The perfect comforter to keep you cozy all year round. The All-Season Down-Alternative comforter from Merit Linens features the perfect loft and Down-like feel to keep you warm and toasty while you sleep. OxGord Self Warming Pet Bed for just $10.99 + FREE shipping !!! reg price $60!! This is great !! OxGord Self Warming Pet Bed for just $10.99 + FREE shipping !!! reg price $60!! If You Can Read This Socks for $6.99 + FREE shipping !!! reg price $25 !! How fun are these !! If You Can Read This Socks for $6.99 + FREE shipping !!! reg price $25 !! multiple options available !! Stay warm and cozy this season with a fun pair of humorous socks. Lightweight design features text at the bottom. The perfect way to get what you want without saying a word! 2-Pack Popular C.C. Knit Beanie Hat for $14.99 + FREE shiping !! reg price $40!! Love these !!! Grab a 2-Pack Popular C.C. Knit Beanie Hat for $14.99 + FREE shiping !! reg price $40!! Multiple colors to choose from !! These trendy C.C. beanies may be the softest beanie you’ll wear this winter. They are made out of 100% acrylic, designed to be extremely soft and comfortable. You’ll be warmed up in no time and still look stylish. They come in popular colors and go great with any outfit. Wear them out adventuring or to the movies. You’ll feel stylish no matter what you’re doing that day. Collapsible Storage Boxes Drawer Divider (Set of 4) for just $9.99 + FREE shipping !!! reg price $60!!! Score this , Collapsible Storage Boxes Drawer Divider (Set of 4) for just $9.99 + FREE shipping !!! reg price $60!!! 3-Pack MFI Apple Certified 10-Foot Lightning Cable for iPhone & iPad for $12.99 + FREE shipping !!! Hurry to score a , 3-Pack MFI Apple Certified 10-Foot Lightning Cable for iPhone & iPad for $12.99 + FREE shipping !!! With this extra-long cable, youll finally be able to stop running back and forth between your charger and your bed, couch or office chair. After you get your 10-foot Lighting-to-USB data syncing and charging cable, you’ll wonder how you ever lived without it! 10-Pack California Home Goods 3 Compartment Reusable Meal Prep Food Contain for $12.99 + FREE shipping !!! Check these out !! 10-Pack California Home Goods 3 Compartment Reusable Meal Prep Food Contain for $12.99 + FREE shipping !!! High-quality food containers built to last so that you can reach your fitness milestones. Each California Home Goods meal container is built with high-grade plastic to enhance its durability and flexibility. Wash ‘em, fill ’em, stack ’em in the freezer and repeat. They’re the perfect complement to your new healthy lifestyle. NFL Fans This Way Marquee Arrow Light Up Metal Sign for just $29.99 + FREE shipping !!! These cool , NFL Fans This Way Marquee Arrow Light Up Metal Sign for just $29.99 + FREE shipping !!! 9 teams available !! These light up arrow marquee signs have a classic old school look and design. Made of metal construction and featuring 10 light up bulbs to showcase the team name and colors. Battery operated with on/off switch so there is no cord hanging down the wall. These marquee signs make a perfect gift for any sports fan! Camera Lens Coffee Mug with Lid by Whetstone for just $8.99 !!!! reg price $30!! How cute is this , Camera Lens Coffee Mug with Lid by Whetstone for just $8.99 !!!! reg price $30!! Bring beverages into sharp focus with the SLR Camera Lens Travel Mug by Whetstone! This striking mug has the look and feel of an authentic SLR camera lens from focus and aperture rings to distance and depth of field scales. Beneath the detailed surface resides a fully functional go anywhere travel ready beverage container. You can grab a pair of these , Dawgs Womens’ 13-inch Microfiber Boots , for only $26.99!!! reg price $90!!! multiple colors available !!! NFL Light Up LED Beanie Hat , for $23.99 + FREE shipping !!! Football fans can Score a , NFL Light Up LED Beanie Hat , for $23.99 + FREE shipping !!! MUK LUKS® Women’s Missy Boots for $24.99 + FREE shipping !!! reg price $65!!! How cute are these , MUK LUKS® Women’s Missy Boots for $24.99 + FREE shipping !!! reg price $65!!! 3 colors available !! MUK LUKS Women’s Jamie Boots for just $32.99 + FREE shipping !!! reg price $75!!! What a deal you can get on these , MUK LUKS Women’s Jamie Boots for just $32.99 + FREE shipping !!! reg price $75!!! 2 colors available !! Your Go-To knit sweater boot! Wear the MUK LUKS Jamie boots tall or scrunch them low. The Jamie gives you the cozy feel of a slipper & durability of an everyday boot. Dawgs Womens’ 9-inch Microfiber Boots for just $19.99 + FREE shipping !!! reg price $80!! Here is a great deal on these , Dawgs Womens’ 9-inch Microfiber Boots for just $19.99 + FREE shipping !!! reg price $80!! The DAWGS Women’s 9-inch Microfiber boot is DAWGS’ most popular boot. This boot is built for comfort and warmth, padded with a memory foam insole and faux shearling lining. This boot has a slip-resistant rubber sole. 20-Pair Mystery Deal: Men’s Moisture Wicking Low-Cut Socks for only $14.99 + FREE shipping !!! reg price $130!! Stock Up on socks !! 20-Pair Mystery Deal: Men’s Moisture Wicking Low-Cut Socks for only $14.99 + FREE shipping !!! reg price $130!! This 20-Pack of comfortable, high-quality socks is perfect for any man. Made with a soft, absorbent blend of polyester and spandex, the Swift Dry knit helps keeps moisture off your feet. Quilted Pet Protector Furniture Slip Covers are as low as $13.99 + FREE shipping !!! reg price $80!!! Have pets ?? This Quilted Pet Protector Furniture Slip Covers are as low as $13.99 + FREE shipping !!! reg price $80!!! Bigger sizes a few dollars more ! Soil, snag, and water-resistant microsuede slip covers keep chairs and sofas safe from marauding pets! 3-Pack MFI Apple Certified 10-Foot Lightning Cable for iPhone & iPad, for only $13.99 + FREE shipping !! reg price $100!! Score a 3-Pack MFI Apple Certified 10-Foot Lightning Cable for iPhone & iPad, for only $13.99 + FREE shipping !! reg price $100!! Authentic LEGO® Building Bricks Assortment 400 Pieces for just $19.99 + FREE shipping !!! Hurry to score a deal for these , Authentic LEGO® Building Bricks Assortment 400 Pieces for just $19.99 + FREE shipping !!! ENHANCE CREATIVE THINKING SKILLS- Get your child to be creative at a young age. These Lego bricks will definitely enhance their creative thinking skills in which they can use their fantasy and imagination in building great objects. PLAYING AND LEARNING- An interactive way to learn while playing. Kids love to play so gain the most from their playing, by playing this Lego bricks with your kids it is a great way of bonding learning all at once . They will able to communicate great ideas as they build objects.